Many of the world's most famous women photographers were not born to use a camera. Rather, they diligently honed their craft until they were able to tell a story through a lens better than anyone in their profession. For the majority of today's most popular female photographers, what started out as a hobby eventually blossomed into a high profile career. However, long before the world of photography was graced by professionals such as Annie Leibovitz and Anne Geddes, several other women blazed the trail behind the camera. While the following famous female photographers may be gone, their work continues to inspire and educate. These women truly mastered the art of taking pictures on their own. 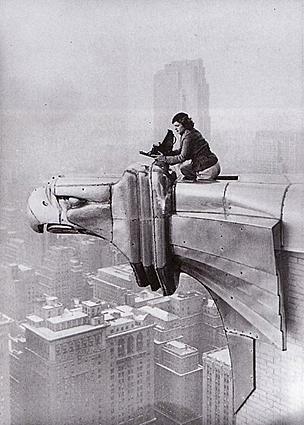 Margaret Bourke-White was a leading American photojournalist, and the world's first female war correspondent. While working for Fortune and Life magazines, she traveled to combat zones in Germany, Africa and Italy during World War II. Bourke-White was also the only American photographer in Russia during the battle of Moscow. In addition, she photographed the drought victims of the Dust Bowl, the survivors at Buchenwald concentration camp, and Ghandi a few hours before his assassination. Bourke-White went on to make history with the publication of her haunting photos of the Depression in the book You Have Seen Their Faces. She is considered a pioneer in the field of photojournalism and her works are legendary around the world. Julia Margaret Cameron was a British photographer who started her career at a time when photography was brand new. She is known for her unconventional portrait style, which included close cropping, soft focus and an emphasis on capturing the personality; skills that are still imitated today. Some of Cameron's famous subjects include Charles Darwin, Alfred Lord Tennyson, Robert Browning, John Everett Millais, William Michael Rossetti, Edward Burne-Jones, Ellen Terry and George Frederic Watts. Historians note that many of Cameron's portraits are significant because they are often the only existing photographs of historical figures. 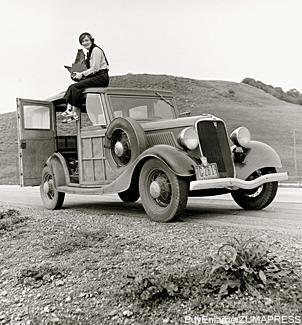 Dorothea Lange is heralded for being one of the first female commercial portrait photographers in the world. She is best known for her work during the Great Depression, when she photographed the breadlines, the waterfront strikes, and the sheer desperation people displayed on a daily basis. Her photos of impoverished migrant farm families looking for work still grace national museums. Lange is also well known for her work documenting people housed in Japanese-American relocation camps during World War II. Her images were so critical of the Japanese-American policies that the Army impounded them during the war. After the war Lange co-founded the photographic magazine Aperture. Experts describe Lange's work as "revolutionary" and credit her for being a premiere influence in the development of modern documentary photography. Photography has evolved tremendously since the days when Bourke-White, Lange and Cameron worked behind the camera. These days, professional female photographers rely on digital cameras and other high tech equipment. However, their work is still influenced by the women who pioneered the art of picture taking. Annie Leibovitz is known as one of the world's leading entertainment photographers. Her highly acclaimed work has been featured in countless entertainment publications, including Rolling Stone and Vanity Fair. In 1973, Leibovitz made history by becoming the first female chief photographer of Rolling Stone. Historians note that her intimate photographs of celebrities helped define the Rolling Stone look. Leibovitz's style is marked by a close collaboration between the photographer and the subject. Leibovitz is well-known as the last person to professionally photograph John Lennon, who was shot and killed mere hours after posing with his wife Yoko Ono for Leibovitz's camera. Recognized worldwide for her work with infants, Anne Geddes is an Australian photographer. She is phenomenally popular in her native Australia, as well as in New Zealand, the United States, and other parts of the world. Her distinctive pictures of infants in costume or posed in unusual but adorable settings grace greeting cards, calendars, books, stationery, photo albums, and an array of other products. Interestingly, Geddes has excelled in the field without any formal training in the craft. Masumi Hayashi was a Japanese-American photographer best known for pioneering panoramic photo collages by using smaller color pictures like tiles in a mosaic. Many of her large panoramic pieces featured more than one hundred smaller photo prints. Much of Hayashi's work included socially uncomfortable spaces such as prisons and relocation camps. Her life came to a tragic end in 2006 when she was murdered by one of her neighbors. You need to see the works of these famous women photographers to truly appreciate them. You can browse through a number of their photos at the following sites. Julia Margaret Cameron - View 20 of Cameron's photos at Victoria's Past. Dorothea Lange - Shorpy offers five pages worth of Lange's work. Annie Leibovitz - Visit PBS.org to see some of Leibovitz's greatest works, including the image of John Lennon and Yoko Ono. Anne Geddes - There's a large sampling of Geddes' photos at Andrea's Anne Geddes Gallery. Masumi Hayashi - The Masumi Hayashi Museum offers eight themed galleries of Hayashi's work. There is evidence that female photographers, who blazed the trail for future generations, did not receive the acknowledgment due to them. The American government has recognized this oversight and now provides access to the works of leading female photographers such as Lange and Cameron in the national archives. You can also learn more about dozens of other famous women photographers through books and museum exhibits.